Healthcare is one of the most expensive benefits you can offer employees. As a medical practice, employees often assume they will receive healthcare benefits. However, health care comes at a cost. According to Kaiser Family Foundation survey, the average annual cost of a single premium per enrolled employee for employer-based health insurance in Texas is a total of $5,386, with an employer contribution of $4,251. That’s a pretty sizable amount of money to be spending towards health insurance alone. So how can you spend less on health insurance, but still have quality coverage? By leveraging the benefits of HSA, HRA and FSA. HSA: Health Savings Account – For your thriving practice, you can incorporate an HSA into your health care plan to receive lower healthcare premiums for you and your employees. The best part, you don’t have to sacrifice the quality of your care to have affordable health insurance. Basically, an HSA is a savings account for your healthcare expenses. You add a set amount of money, based on whether you have an individual or family plan, to the account each year. An HSA works well in conjunction with a high-deductible health insurance plan. All your HSA dollars can be used to pay your eligible health expenses, including the expenses that haven’t been covered by your medical plan. You can take the money out at anytime without a penalty as long as you use it for medical purposes. If you choose to take out some of your funds for services other than medical, the amount you withdraw will be subject to income tax and could be subject to an additional 20% tax. Affordable health care: Having a higher deductible and lower premium means a lower out-of-pocket for your group medical account. Flexibility: You can still choose your physician. Control: Employees can make their own contributions into their account. Tax-exempt: Employees can fund their accounts with pre-tax dollars, and any interest on the account accumulates tax-free. Keep it: Since employees fund their own account, they can take it with them should they ever leave. 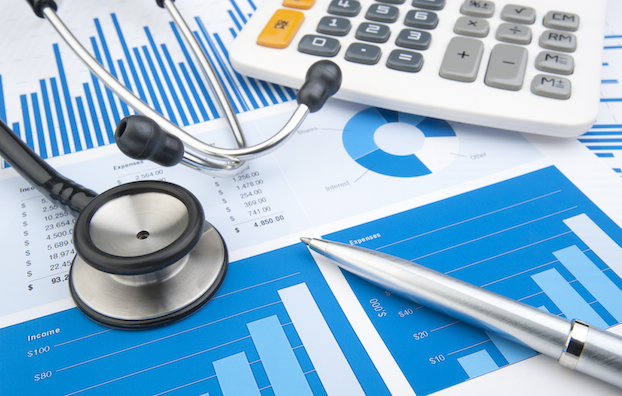 HRA: Health Reimbursement Arrangement – Similar to an HSA, an HRA is typically offered alongside a high-deductible medical plan, which has lower premiums, and those lower premiums help your business save money. The difference is that HRAs are fully funded by you, the employer. This is an affordable way to control your healthcare costs by being able to choose what your employees can use their medical funds for. You can also determine whether the funds can roll over to the next year. Savings: Both you and your employees save on the cost of healthcare. Tax-exempt: Every dime you put into your HRA is 100% tax-free. Control: You as the employer get to control everything; you can set aside a specific amount of money to fund each employee’s account. Reduced premium costs: An HRA works alongside a high-deductible plan so can pay lower premiums and use extra money to fund the HRA. If you’re wondering how much you should fund your employees’ accounts. According to the Kaiser Family Foundation, … workers enrolled in HDHP/HRAs receive, on average, an annual employer contribution to their HRA of $947 for single coverage and $1,800 for family coverage. FSA Flexible Spending Account – An FSA is an account that employees can use for certain out-of-pocket healthcare costs. These healthcare costs include medical and dental expenses as well as deductibles and copayments. Like an HSA, your employee funds an FSA. When the plan begins, employees decide how much money they would like to fund their plan with, then should they need the funds throughout the year; they can draw on the account. Plus, employees get a tax advantage with an FSA because the funds are contributed on a pretax basis. One of the only deterrents of the FSA in the past was the use-it-or-lose-it regulation, which stated that if you didn’t use your health care money, you would lose it. However, as of 2014, the government issued a change to the FSA, stating that employers that offer FSA programs will have the option of allowing participants to roll over up to $500 of unused funds at the end of the plan year. Save money: FSA reduces how much employees pay in taxes each year. Flexibility: An FSA can also include a Dependent Care account. The account allows pretax dollars to pay for eligible expenses related to care for a child, disabled spouse, elderly parent, or another dependent who incapable of caring for themselves. Regulations have changed: Employees no longer have to worry about the use-it-or-lose-it regulation. Employees decide how much money you want to put in. As you can see, there are many differences between the HSA, HRA and FSA, but all of them can benefit your business. We have helped many practices just like yours when it comes to saving on health care. Because we know that having some financial help when it comes to health care is key to keeping your successful business on track. Contact us to learn more about the benefits of HSA, HRA and FSA.